O.F. Mossberg & Sons is one of the oldest and largest American firearms manufacturers. 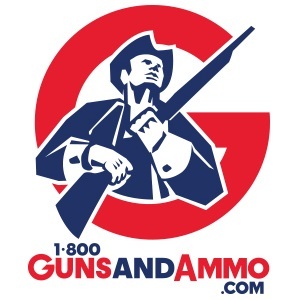 The company is known for producing affordable and reliable shotguns and rifles for sportsmen. Their 500 Series pump-action shotgun for example, continues in one of the greatest production runs of any sporting firearm in history, with more than 10,000,000 sold since its introduction in 1961. The time-honored company pledge to deliver “More Gun for the Money” is manifest in the Patriot centerfire rifle and MVP precision rifle lines, which offer premium features without the premium price tags. And, I suspect that everyone on the planet with an interest in personal defense has heard of the somewhat controversial Mossberg 590 Shockwave, introduced in 2017. New for 2019: The MC1sc subcompact, striker-fired, polymer-framed 9mm pistol. That’s right… Mossberg has released a handgun – it’s first in 100 years! The company had a humble beginning, with O.F. and his two sons, Iver and Harold, manufacturing a simple four-shot 22-caliber handgun in a rented loft in New Haven, Connecticut. With an initial price tag of $6.00, the “Brownie” was marketed to hunters and trappers to humanely dispatch wounded and trapped animals. Approximately 37,000 of these pocket pistols were sold before the 13-year production run ended in 1932. Today, CEO A. Iver Mossberg (great grandson of the founder) and his father Alan I. Mossberg (Chairman of the Board) have set their sights on the hottest segment of the concealed carry market. It’s often said that the compact, single stack 9mm Luger pistol is the most popular carry gun in America. This is a tough crowd, with class leaders that include the Smith and Wesson M&P 9 Shield, Springfield XD-S 3.3, Glock 43, Bersa BP9CC, and the sleek Ruger LC9s Pro. Nevertheless, the new Mossberg MC1sc is expected to be competitive. Let’s take a look at its features and specifications. At 6.25 inches long, 4.30 inches tall and 1.03 inches wide, and with a barrel length of 3.40 inches, MC1sc dimensions are very close to the Glock 43 (6.26 x 4.25 x 1.02 – 3.39), and similar to the Springfield XD-S 3.3 (6.30 x 4.40 x 0.90 – 3.30). The S&W M&P 9 Shield and Ruger LC9s Pro are both taller (4.60 and 4.50 inches, respectively), a tad narrower (0.94 and 0.90 inches, respectively), and have shorter barrels (3.10 and 3.12 inches, respectively). Bersa BP9CC dimensions are nearly the same as the Springfield XD-S 3.3, but the Bersa is notably taller (4.80 inches). While the Glock 43 comes with a 6-round magazine and the Ruger LC9s Pro comes with 7, MC1sc’s are delivered with both 6-round flush and 7-round extended magazines. The taller S&W M&P 9 Shield offers 7- and 8-round magazines, as does the Springfield XD-S 3.3, and the 1/2-inch taller Bersa BP9CC comes with an 8-round mag. Both the MC1sc and the S&W M&P 9 Shield weigh-in at 19-ounces with empty magazine. The Glock 43 is an ounce lighter, and the Ruger LC9s Pro is 2 ounces lighter. The Bersa BP9CC is 1-1/2 ounces heavier than the MC1sc, while the Springfield XD-S 3.3 is significantly heavier – by 5 ounces – than the Mossberg offering. Size Comparison: From left; vintage Colt 32 automatic carry pistol, Mossberg MC1sc subcompact 9mm, full size 45 caliber Dan Wesson 1911. Prospective buyers often rate price as one of the more important specs to be considered. Although acquisition (aka “street”) prices are typically lower, MSRP’s for base models are useful for comparison, as follows: Mossberg MC1sc = $425.00, Bersa BP9CC = $429.00, Ruger LC9s Pro = $449.00, S&W M&P 9 Shield = $479.00, Springfield XD-S 3.3 = $499.00, Glock 43 = $519.99. In addition to the base model, four other MC1sc models are available (See Best of SHOT for Hunting). These include: (1) a Cross-Bolt Safety model (MSRP = $425.00) with safety located on the frame directly behind the trigger; (2) a Viridian Laser model (MSRP = $514.00) equipped with E-Series red laser attached to the front of the trigger guard; (3) a model fitted with TruGLO Tritium Pro night sights (MSRP = $526.00); and (4) a commemorative Centennial Limited Edition model (MSRP = $686.00) that features titanium nitride and Cerakote treatments for frame and barrel, as well as 24-karat gold plating and engraved slide. Side-by-side pair: The subcompact MC1sc conceals easily without imprinting under plain patterned clothing with little bulkiness. Designed for concealment with a “Built to Carry, Made to Protect” slogan, the slim “dehorned” profile of the feature-rich MC1sc allows a quick, snag-free draw. The grip panels are aggressively textured, with a palm swell that gives a natural feel and facilitates control. Slide serrations are positioned both fore and aft to assist slide manipulation. And, these features all work as advertised! I appreciate the foresight of Mossberg engineers in using the same grip angle for the MC1sc as the legendary Model 1911. This immediately fosters a level of comfort in those of us who have logged more hand time with the venerable pistol design than the smaller, lighter subcompacts. The MC1sc polymer frame is glass-reinforced to enhance durability, and feels solid. Its stainless steel slide and barrel are both finished with black, Diamond-like Carbon coatings (DLC) for durability and corrosion resistance. MC1sc disassembled into 7 basic components, clockwise from top left; slide, striker assembly, slide cover plate button, 7-round extended magazine, frame, barrel, and center; recoil spring assembly. One of my favorite features is Mossberg’s exclusive “Safe Takedown System” (STS) which enables quick and safe disassembly of the firearm without requiring the trigger to be pulled. [Note: The trigger pull requirement is often cited as a knock against the Glock 43, although it’s a minor issue in my opinion.] The MC1sc can be field-stripped into 7 basic components in less than 30 seconds, without the need for tools, and reassembly is just as quick. The magazine release button is reversible to accommodate left- or right-handed shooters. Clear-Count magazines with translucent (“see through”) bodies and easy-to-remove floor plates are another nice feature. These allow the shooter to quickly assess remaining rounds. A bright red follower makes it easy to see when a magazine is empty. And, the “lubricious” polymer mag bodies offer low friction and good wear resistance as well. An extended trigger guard gives easy access to Mossberg’s flat-profile double-action (only) trigger, with integrated blade safety. Other trigger features include a short, tactile reset with minimal over-travel, smooth take-up, and a crisp, clean break, with a pull weight set between 5 and 6 pounds. Again I find that trigger features work as advertised, and I rate the trigger function as very good. Base model MC1sc’s feature snag-free, dovetail, white three-dot sights, which facilitate quick target acquisition. Windage adjustment with punch and mallet is simple. My test gun was equipped with the optional TruGLO Tritium night sights, which add $100.00 to the price of the base model. In my opinion, these are well worth the money – even though the standard sights are very good. Packaging included an interesting, reusable plastic film that holds the pistol in place. The MC1sc test gun arrived in a box that was apparently designed to be used for storage. It was held in place in the flip-top box by plastic wrap with the warning “do not cut film” and “reusable pack.” Included in the box with the gun were two Clear-Count magazines (6-round flush and 7-round extended), a bright yellow cable lock, owners manual and additional safety related paperwork. The first order of business was a quick check of the manual, which revealed the subcompact pistol was rated for +P, but not rated for +P+ ammunition. Next came disassembly following instructions in the manual, and then removal of the ample coating of oil from internal components with Birchwood Casey Gun Scrubber. As previously noted, disassembly and reassembly were quick and easy, with no tools required. The MC1sc was matched up with an inside the waistband (IWB) Galco holster, and we were ready for testing. Unfortunately, the gun was delivered at the start of a lengthy string of bad weather, with heavy snows and high winds. Frustrating! Now, I’ll be the first to admit that I’m not an accomplished handgunner – competent with the handguns I own, yes… but by no means an expert – particularly with subcompacts. 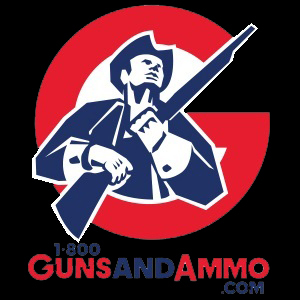 So when the weather finally broke, I met up with good friend, competitive shooter and Show Low, Arizona gunsmith, Shane Clark, and we headed for a local cinder pit with a few boxes of Magtech 115-grain FMJ ammo. Although I handled the MC1sc on the convention floor at SHOT Show a month earlier, it took a little time during live fire for me to find a comfortable and consistent grip. My hands are average in size but my fingers are long, and I found that the comparatively narrow grip of the subcompact occasionally caused slightly off-center placement and a little movement in the web of my hand. Consequently, my first run with the 7-round extended magazine from 7-yards was not very impressive! With advice from Shane and some minor grip adjustment, my accuracy improved from “sub-standard” to “respectable” by the third run. As expected, accuracy on each of Shane’s first 3 runs – all captured on video – was impressive. It wasn’t long before my groups on paper were comparable to Shane’s from 7- and 10-yards (although not so much from 25 yards! ), with each printing a little low and a little left of center. Minor adjustment to the dovetail sights with punch and mallet moved subsequent groupings on center. And, I found with later testing that switching from 115-grain to 124-grain FMJ Magtech rounds brought the point of impact up to the point of aim. After two additional test sessions I was able to draw and empty the extended mag in less than 5 seconds. With each round hitting inside the 9-ring on a standard silhouette target from 7 yards away, the MC1sc is clearly accurate enough for personal defense. In direct contrast to professional basketball star Allen Iverson’s opinion famously expressed in an interview 15 years ago (“We’re talking about practice…”), I found that practice with the little subcompact pistol definitely improved my performance! The MC1sc handles and points well, and it’s easy and pleasant to shoot, with a smooth trigger and manageable recoil. When the gun is brought into the line-of-sight, the target is quickly acquired with the large 3-dot sights. I especially like the TruGLO Tritium Pro sights, which work well in both bright/sunny and dark/overcast lighting conditions. And, despite its subcompact dimensions, the MC1sc with extended mag is easy to handle and fire accurately with gloved hands –which makes it a good choice when the temperature drops below freezing. This is something that is not often mentioned in handgun performance reviews, but is a point that warrants consideration with a concealed carry gun that will see all-weather use. It’s often said that subcompact pistols are not designed for everyday use. Over the 3 different test sessions we fired a few hundred rounds of Magtech 115- and 124-grain FMJ ammo, and a box of Winchester PDX Defender 124-grain +P ammo, without a single hiccup. The solid feeling MC1sc never failed to feed or chamber a round, or fire, or eject an empty case. And, although recoil from the personal defense loads was noticeably greater than the ball ammo, it was nevertheless quite manageable. I suspect that if not abused, this particular subcompact pistol will deliver a lifetime of service. Representative 7-shot group from 7 yards with 115-grain ammo. So, what’s not to like? Honestly, very little. First, I cannot get full purchase on the grip with the 6-round flush magazine. This is a common problem with slim profile subcompacts, and probably the main reason for extended magazines like the 7-round mag delivered with the MC1sc. My accuracy was better with both single-and double-handed holds using the longer magazine. However as noted earlier, I’m not an expert with a handgun. I suspect that with training and thumb-strengthening exercises, my accuracy with the 2-finger grip necessitated by the shorter, 6-round magazine would approach that with the 3-finger grip afforded by the longer, 7-round mag. And, speaking of magazines… The Clear-Count magazines offer some nice features, but they foul quickly with powder residue, which limits their translucence. If untended, one of the best features of these mags – the ability to quickly assess rounds remaining – is defeated. Fortunately, these magazines are easy to disassemble and clean.